Today, I’m sharing a super-simple, super-fun, hands-on flower study. Sometimes, homeschooling can be so hard. That last situation happened to us recently. We had an amazing weekend. It was filled to the brim with friends, family, and fun activities. But it was just so… busy. And when Monday arrived, I wanted to stay in my jammies and go back to bed with a book and a hot cup of coffee. On this tired Monday, I decided to create a super-simple unit study. I picked flowers because the kiddos have been waiting to plant the wildflower seeds that their grandparents gave them for Easter. And a flower study seemed like the perfect idea! One of our favorite ways to learn is to read incredible books and then follow the read aloud with a game or hands-on activity. Today, I’d like to tell you about a super-simple flower study we enjoyed last month. 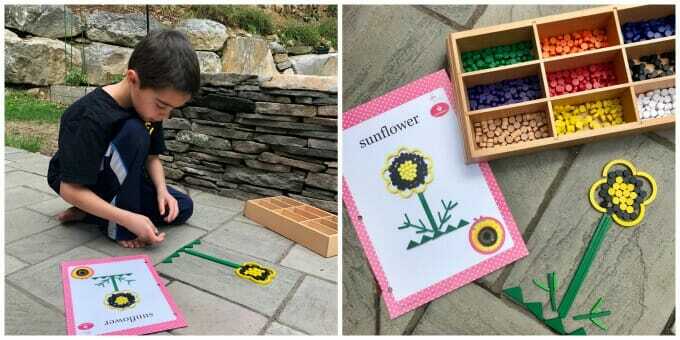 We used fantastic books, a fun game, a seed packet, and our beloved Spielgaben set. Our favorite way to create a super-simple unit study- or, a lazy unit study– is to head to the library, grab a stack of delicious picture books, head home for an afternoon book-palooza (my kids made up this term and I love it! 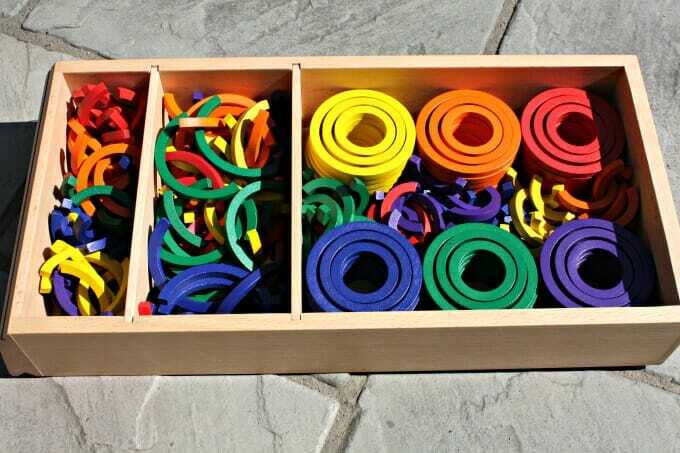 ), and then build upon the book-based learning with related play and hands-on activities. Here’s the most important part when it comes to simple (or lazy!) unit studies: Relax… and have fun! 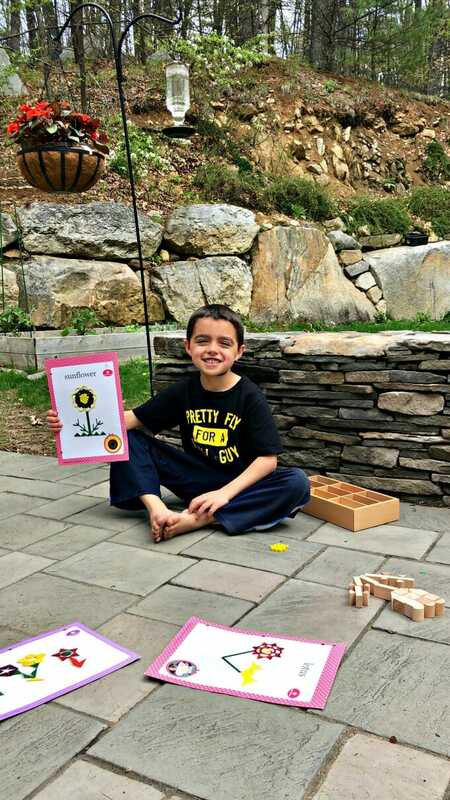 Sometimes, as a homeschool mama, it can be hard to sit back and let learning happen. We want to cross off the to-do list and finish that textbook before month’s end. The thing is, children don’t follow to-do lists and timelines. They learn at their own unique pace. Why not embrace it and have fun along the way? So much learning happens when we just relax and let it! If you are not familiar with Spielgaben, you need to keep reading! 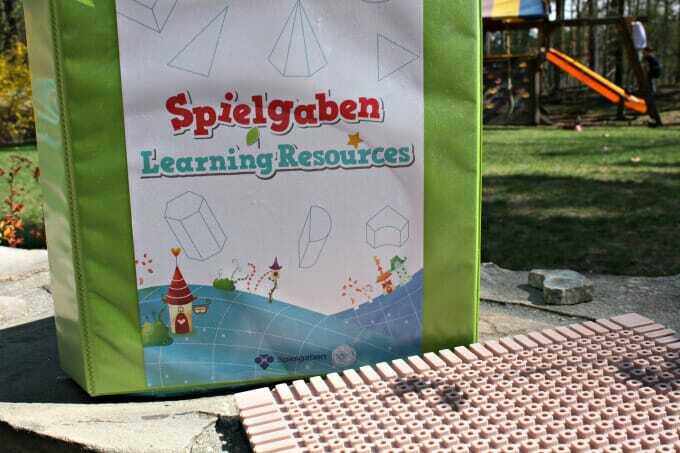 Spielgaben offers a sophisticated approach to child development for children ages 3-12 years. 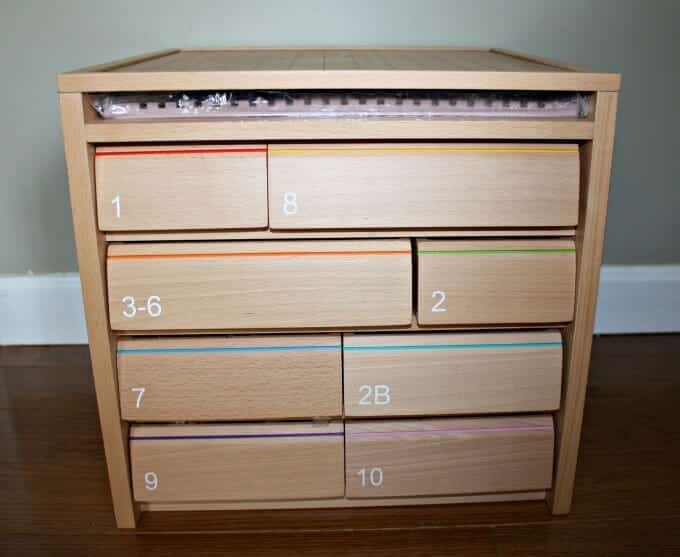 Housed in wooden drawers, all 14 Spielgaben playsets are made from non-toxic and sustainable materials. 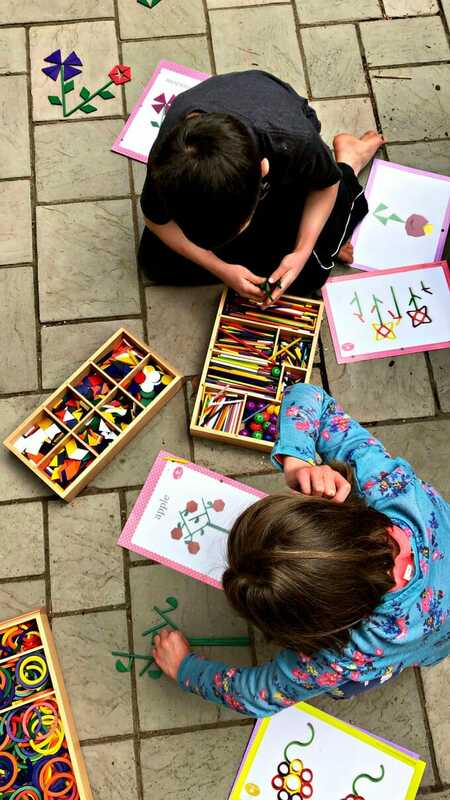 The play sets are absolutely stunning and come with oodles of lesson plans and play invitations. 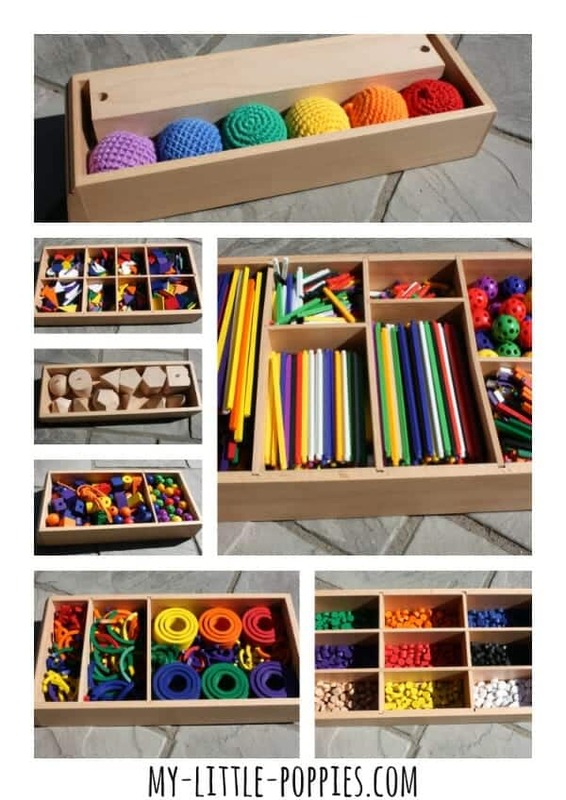 The play sets are designed to be used in sequence in a developmentally appropriate manner. I put all of our Spielgaben Learning Resources in two large binders. I keep them right near our set. 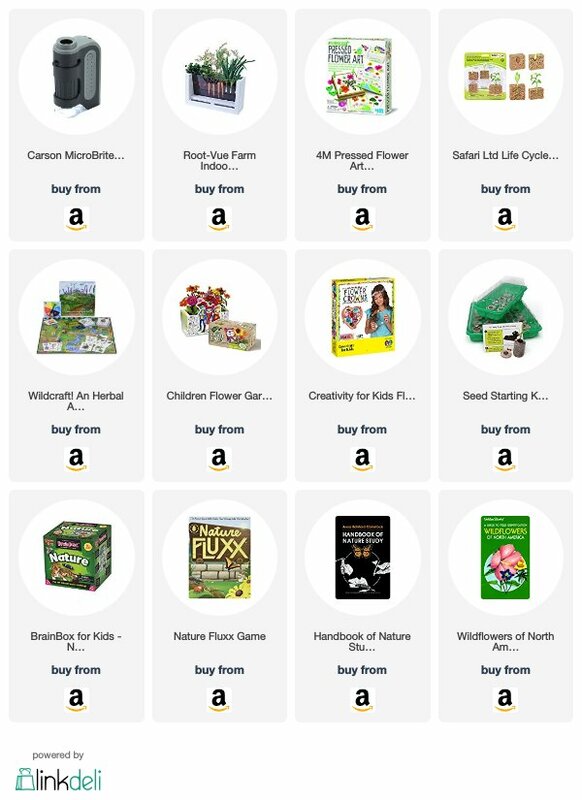 This way, my kiddos can use the play invitations whenever they wish… or, they can abandon all plans and enjoy some open-ended Spielgaben play. 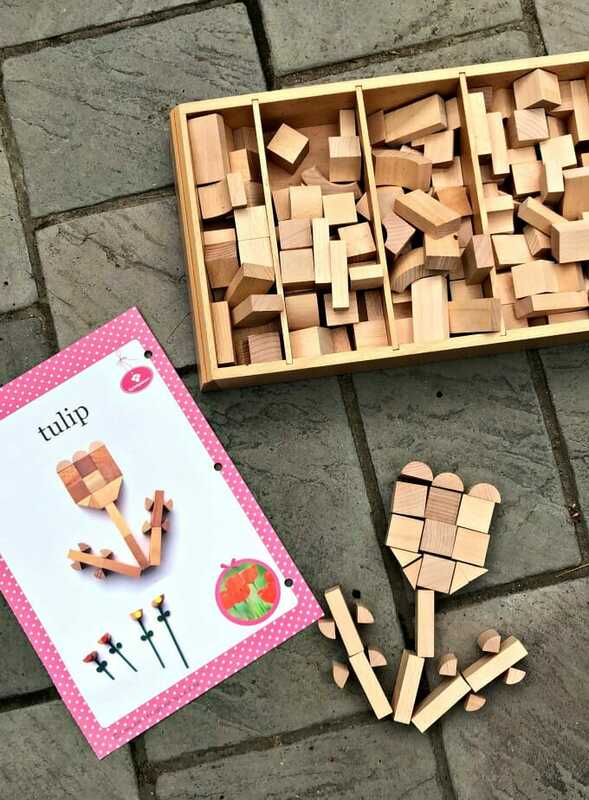 Last month, we used the Spielgaben Learning Resources for our super-simple flower study. And because it was such a gorgeous day, we took our play outdoors! 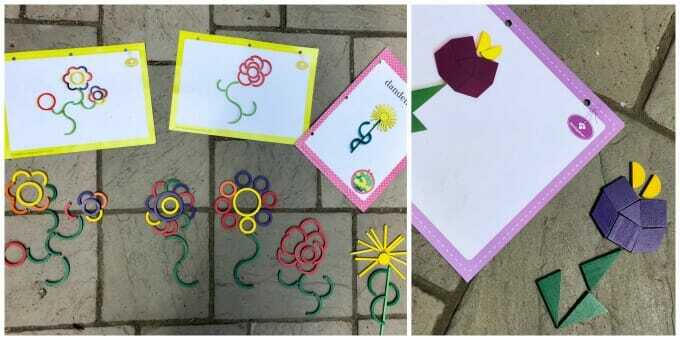 The kids had an absolute blast creating the flowers on the Spielgaben play invitations… and also some creations from their imaginations! 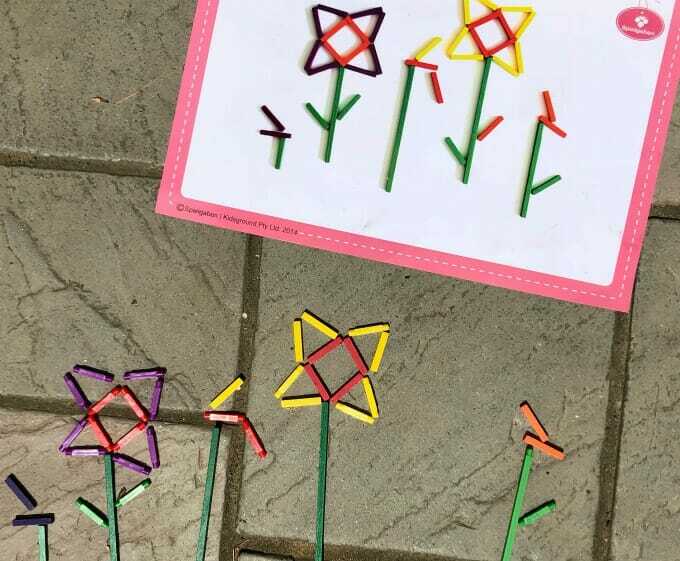 Thanks to this super-simple book and play-based flower study, our Monday went smoothly! It was such a wonderful way to build upon the learning from earlier that morning. As I sat and sipped my cup of tea, I watched them play, make connections between Botanicum and Spielgaben, and have fun together. Do you love flowers and gardening? Now, it’s your turn. 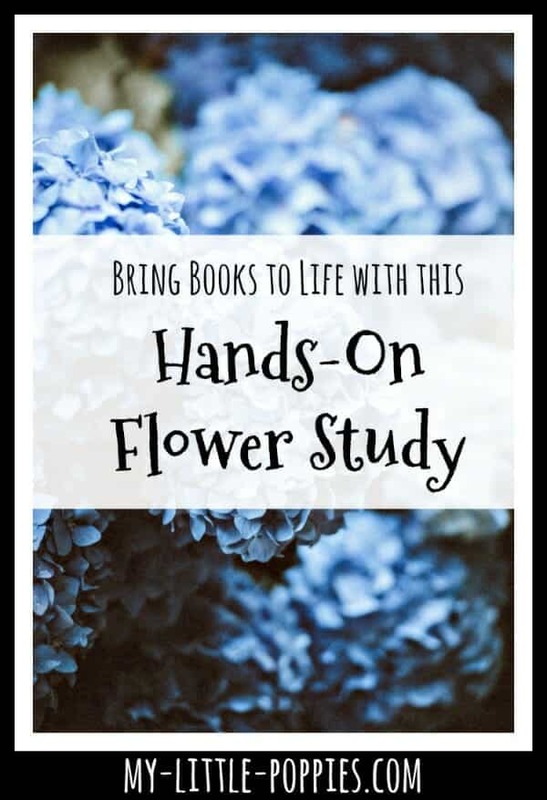 Tell me: Do you have a favorite flower study resource? Share here! « Check the Fridge: A Giggle-Inducing Math Game!